Well, the time has come to have the temporary power pole removed. The Carol’s Home Webcam is about to be retired. I will continue to post updates and photos from the move-in and after things get settled. 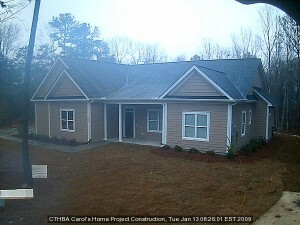 Here is the last photo of the house from the webcam.